Strathmore Water has been named as Official Partner of the Glasgow 2018 European Championships, a new multi-sport event which brings together the existing European Championships of some of the continent’s major sports including Aquatics, Cycling, Gymnastics, Rowing and Triathlon, with a new Team Golf Championships. 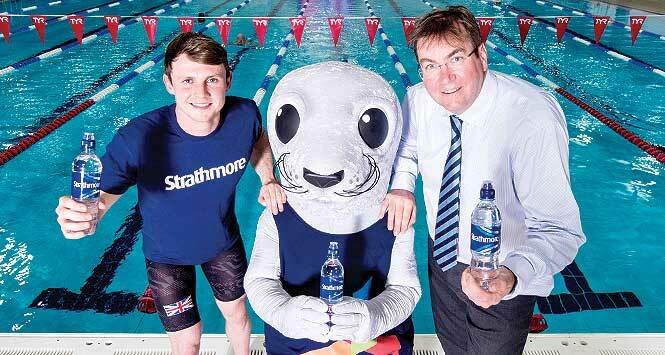 Scottish athlete and Glasgow 2018 sporting ambassador Ross Murdoch joined the Glasgow 2018 mascot Bonnie the seal to launch the partnership, along with AG Barr’s Commercial Director Johnathan Kemp. Kemp’s the one wearing a tie in the picture. You’ll just have to guess which of the other two is Murdoch. Fresh from winning a silver medal at the Gold Coast Commonwealth Games, Murdoch is thirsty for success at the European Swimming Championships at Tollcross International Swimming Centre this August, while Bonnie will be cheering on competitors from across Europe over the 11 days of sporting action. Kemp added: “We’re incredibly proud of the work that Strathmore does to encourage more people to take part in sport as part of its Do More campaign, so to be the Official Water of Glasgow 2018 European Championships, a multi-sport event which will engage and inspire so many people, highlights our ongoing investment and commitment to all levels of sport. Strathmore Water, which is bottled at source in the Vale of Strathmore, will be supplied to hydrate around 3,000 athletes expected to compete in venues across Scotland between August 2 and 12, as well as officials, staff, volunteers and medical teams on the ground. 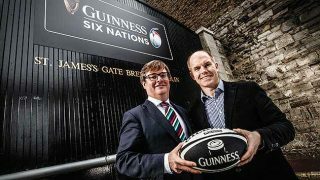 There will be over 500 recycling bins distributed across venues to encourage the recycling of all Strathmore water bottles consumed at the Championships along with other recyclable waste.